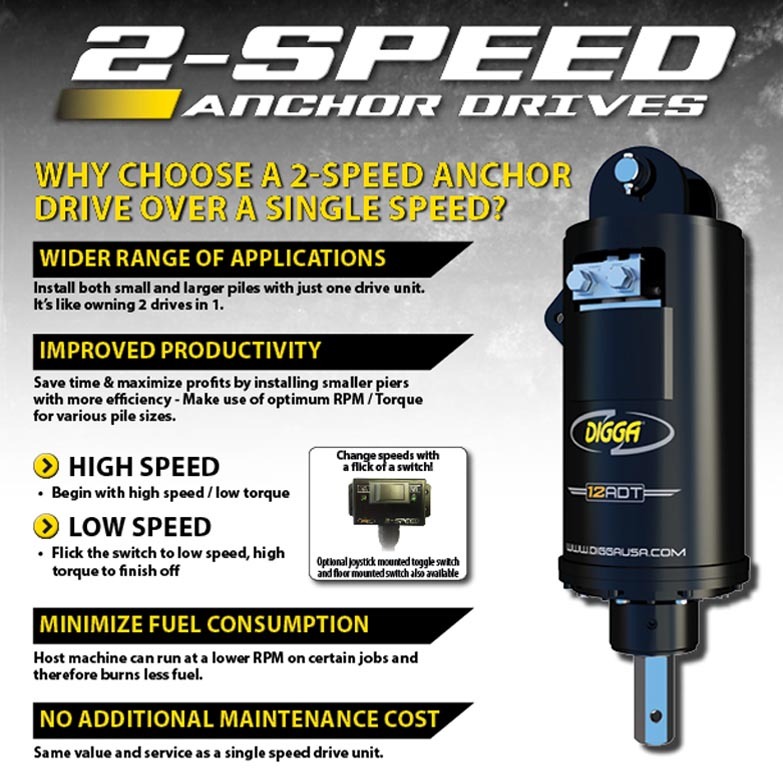 Digga's two speed screw pile anchor drives can be used for a wider range of applications up to 7,000 ft-lbs. Developed in conjunction with leading screw anchor / helical pile installers around the world, Digga brings you the only true anchor drives available - Designed and manufactured in-house specifically for the rigours of the application. 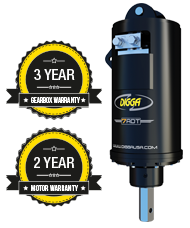 This means that your host machine can operate in its most efficient horse power range to minimize wear and tear, optimizing performance to ensure a higher return on your investment. Overall length (in) 37.9" 37.9" 37.9" 37.9"
Diameter (in) 13.4" 13.4" 13.4" 13.4"